Considered a “town-in-town”, the pedestrian-friendly, mixed- use community of Mueller Austin is just minutes from the center of Austin, Texas. The development is a model for responsible urban design and is located on the repurposed land of a former municipal airport. 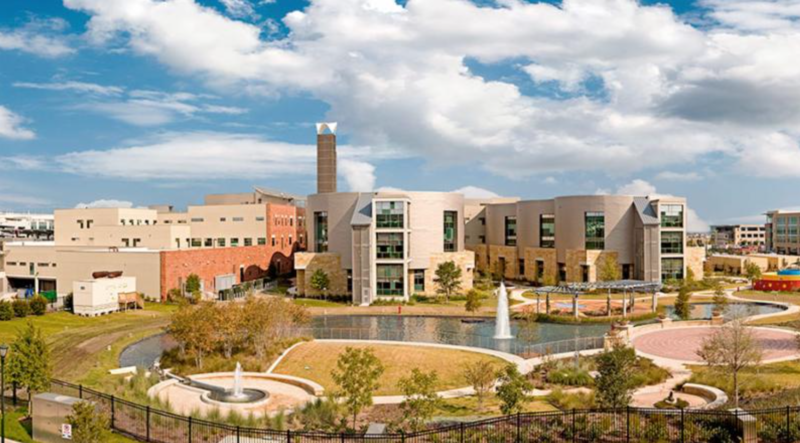 It features approximately 140 acres of parks, trails, and open space, 3.5 million sf of commercial office development, and a variety of residential neighborhoods with new phases planned for the future. Austin. 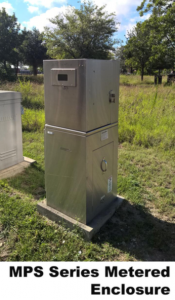 With our high quality, weather resistant stainless steel construction, range of product options and reputation as an industry leader, StrongBox continues to serve the electrical and irrigation controller needs of this diverse community. “We specified StrongBox enclosures primarily because they were pre-approved by Austin Energy, and because the developer, Catellus, really liked their looks,”-Thad Henry, Vice President for Bay & Associates, Inc. in Austin. Featured StrongBox products found at Mueller Austin include our MPS Series of Metered Enclosures and SB Series of Enclosure Pedestals and Wall Mount.